The entire Best Day of My Life So Far program, I am convinced, is a magnet for the kindest hearts on earth – from our seniors, donors, volunteers, to our readers near and far like you. As we enter the holiday season, I want to shine the spotlight on our volunteers. We have become a nationwide team of about sixty people but what keeps it real is the kindness that radiates from each and every single one of their hearts, and the week-to-week work that they do on the local level. I have my own good days and bad days, but when a volunteer writes me a personal email to tell me what inspired her to join our team or how Best Day has changed his life, it means so much to me. I am revived and reminded of what Best Day is all about… and it turns any day into a personal Best Day for me all over again. 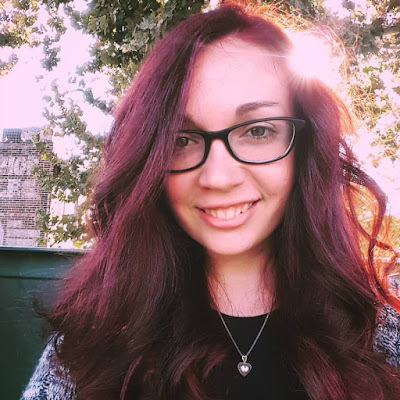 Today, I introduce you to the awesome Hannah Pigeon, a 23-year-old college student who shows up with dedication and passion every week to help run our original group, and who behind the scenes also organizes the local team’s shared schedule. 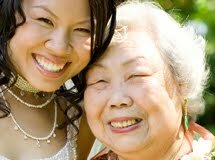 In her reflections below, she shares about her inspiration for volunteering – her beautiful grandmother. In the next blog post, you will get to meet Jen McGhee, another one of the kindest people on this planet. To Hannah, Jen and every single person on my nationwide team, thank you for being the awesome you!! My grandmother passed away almost two years ago. She was the only grandparent I had that I really had some opportunity to get to know as I grew up. She was the strongest person I ever met. She had twelve kids. I am one of seven, and I have more cousins than I care to count. She was always quick to ask us questions about how our lives were progressing. She wanted to know what jobs we would get, whether or not our current boyfriends/girlfriends were good enough for us, what schools we would go to, what grades we had, what our current hobbies were, how they would impact our future. She was always travelling. She always had a project going on. She would knit potholders at red lights. She would drive across the country and sleep at truck stops. She was part of a bowling league well into her old age. She returned to college when she was in her fifties, and shortly after receiving her degree, she went into real estate. She was someone to be easily intimidated by. It’s not every day that you meet someone who is constantly, down to the minute, working to make a better world. She was that person. She always knew all the family and neighborhood gossip. She loved seeing people, and she loved knowing their stories. She would always say, “Never be afraid to ask anyone anything about themselves.” I know that she is a big part of the reason why I’ve grown to love meeting people and learning their stories so much. When she was alive, going to visit her and tell her my whole life story seemed intimidating. She was not someone who was easy to impress. Now that she’s passed, I sincerely miss having someone to talk to who instills so much drive in me every day. Spending time with the Best Day of My Life So Far seniors every week really does help to bring that back into my life. Their stories are incredible, and I only hope that I can live to accomplish a fraction of what they have (so far). I started coming to Best Day of My Life So Far sessions in September. I graduated from Tyler School of Art of Temple University in May 2015. Since then, I have been working as an assistant manager at Capogiro Gelato Artisans and doing some volunteer work with nonprofits on the side. I have always been an avid reader, and writing creates a soft spot in my heart. However, between school and work, I haven’t had the chance to do it as much as I would have hoped. This is why when I learned about The Best Day of My Life So Far, I was anxious to join the group. All of the seniors I have met are remarkable people with stories that are so interesting. They are so worth knowing. They inspire me to write more, and to be a more caring, compassionate person. That is what learning someone’s story is all about. Coming to our group each week is truly something I always look forward to. There is always a smile on my face when I tell people about how I’ve been welcomed by all the volunteers and seniors that participate.